NBC News and MSNBC have severed ties with veteran political journalist Mark Halperin after several women accused him of sexual harassment and assault during his time at ABC News. An MSNBC spokesperson told CNN on Monday morning that the Game Change co-author's contract with both networks has been terminated. The news came days after multiple women came forward with allegations of sexual misconduct against Halperin while he worked as political director at ABC News. Halperin had been an MSNBC contributor and NBC News senior political analyst, frequently appearing as a guest on MSNBC's weekday show "Morning Joe." 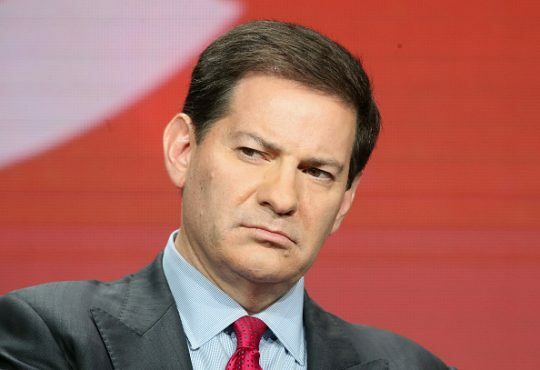 Both networks immediately suspended Halperin after the allegations became public last week. Now all ties have been officially cut. Showtime announced Saturday that Halperin would no longer be part of "The Circus," a show chronicling the 2016 campaign cycle and the early days of the Trump presidency; Penguin Press canceled a book on the 2016 election that he was set to co-author; and HBO said it would not proceed on a project that was in development to be based on the book he was writing. CNN first reported the allegations against Halperin on Wednesday, and since then more women have come forward with accusations against him during his time as political director at ABC News. At least 12 women have accused Halperin of sexual misconduct. Halperin denied some of the accusations in a statement he released on Friday, but the veteran journalist also acknowledged wrongdoing. He said he was "profoundly sorry for the pain and anguish" he caused with what he called "outrageous conduct at ABC News," adding that he felt "profound guilt." In his statement, Halperin said that he participated in weekly counseling sessions for several years around his departure from ABC News in 2007 to "work on understanding the personal issues and attitudes that caused me to behave in such an inappropriate manner." "I fully acknowledge and apologize for conduct that was often aggressive and crude," Halperin said, adding that he had not participated in such conduct following his departure from ABC News. "I know I can never do enough to make up for the harm I caused," Halperin said. " I will be spending time with my family and friends, as I work to make amends and contributions both large and small." This entry was posted in Issues and tagged Mark Halperin, MSNBC, NBC, Sexual Harassment. Bookmark the permalink.